Though movies like The Kennel Murder Case, Mystery of the Wax Museum, The Charge of the Light Brigade, The Adventures of Robin Hood, Yankee Doodle Dandy, Casablanca & Mildred Pierce are considered genre-masterpieces, Curtiz is rarely seen as the auteur of these films because on the surface they are so radically different that it is difficult to see a connection. Also the sheer bulk of his output has made it difficult for filmcritics to label him as an auteur. It is my opinion though that by looking at his best work you can certainly find a distinct signature;stylisticly but also thematicly. Therefore the dismissal of Curtiz as merely a likeable craftsman(Andrew Sarris), does not do him justice. 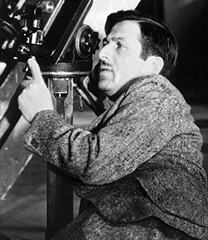 I recognise the fortunate position he was in working for the Warner Brothers Studios in the 30's and 40's,with people like Anton Grot,Sol Polito, George Amy, Max Steiner,& Erich Wolfgang Korngold. Little is known about this Hungarian born director. Reports about his life tend to contradict. This site is put up to share and gather information from the web about my favourite director. some funny and interesting quotes and of course "curtizisms"
By James C. Robertson. New York: Routledge, 1995. 202 pp. Author James C. Robertson describes himself as "an incurable but inexpert film fan." In his book he seeks--thanks to a grant from the British Film Academy that allowed him to study the Warner Brothers Archive- -to set the record straight on Michael Curtiz, whose films have given him great pleasure for many decades. In Robertson's opinion, the view that Curtiz was a "studio hack"--or, at best, a skilled technician who owed the visual quality of his films to his art directors and camera-men-is unmerited. In contrast, Robertson argues,Curtiz was undeniably the top director at Warners during the classic studio period. He was a master of many genres, whose "distinguished record of high- quality versatility in depth . . . no other Hollywood director can even approach." Of necessity, because information is skimpy, Robertson devotes only three paragraphs to Curtiz's early career in Hungary. There are only five more about his days in Vienna, which brought him to the attention of Jack and Harry Warner--probably because Robertson primarily wants to discuss the films that most of us have seen. Nine pages are devoted to Curtiz's silent films and those in which he made the transition to sound. 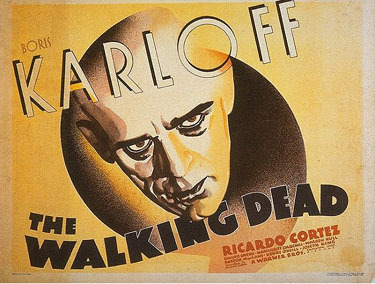 Chapter 3 examines the director's output (1930-35) as he expanded his repertoire of genres: musicals, horror films (Dr. X and The Mystery of the Wax Museum,The Walking Dead), detective dramas (The Kennel Murder Case), social protest (20,000 Years in Sing Sing and Black Fury), and adventure/spectacle (Captain Blood). Although their variability depended on the assignments, the films of the late thirties form an impressive list of crowd-pleasing entertainments: The Charge of the Light Brigade, Kid Galahad, The Adventures of Robin Hood, Four Daughters, Angels with DirtyFaces, Dodge City, The Sea Hawk, and The Sea Wolf Robertson always takes care to remind readers of the box-office earnings of these popular movies; and to Curtiz's advantage, his record is compared, artistically and commercially, to that of his onetime colleague at Warners, Mervyn LeRoy. Robertson devotes a brief chapter to Curtiz's later career, after he left Warner Brothers. The move was assessed by Andrew Sarris in American Cinema as a demonstration of artistic decline when studio discipline was lacking. Robertson disagrees, arguing that White Christmas is "very good light entertainment" and that The Egyptian for "sheer spectacle" represents Curtiz at his best. Some readers may share my opinion that the first is unwatch-able and the second is ponderous and dull. 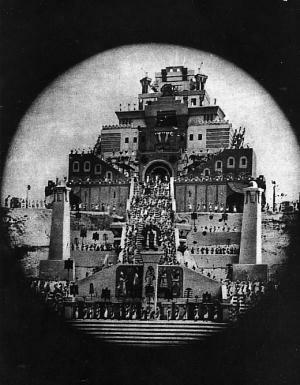 Curtiz also took on several doomed projects, such as The Vagabond King with Oreste. However, Robertson makes a case for reassessments of King Creole, The Proud Rebel, and The Best Things in Life Are Free, although he does not convince me that virtues can be found in The Helen Morgan Story. Because Robertson is concerned almost entirely with Curtiz's public career, he intimates, surprisingly, that Cur- tiz may have become involved in several woeful films because he needed money to support the illegitimate children he allegedly fathered. Hardly ever is what we see on the screen related to his private life. To establish Curtiz as an auteur is difficult, but he had the ability, as in Casablanca, "to weld player, writers, and technicians into a strong team." Like John Ford, Curtiz thought that a film should be cut in the camera, and like Billy Wilder he understood that a first- rate film cannot be made without a first-rate script. The truth probably liessomewhere between the dismissal of Curtiz as a superb technician, who subordinated his talents to the studio machine, and Robertson' s somewhat idolatrous view that Curtiz's "large-scale versatility is unique in cinema history and unlikely ever to be rivaled, much less surpassed. "; For the author, the frequency of showings of Curtiz' s films on television is an enduring tribute to the director's talent. In any case, Robertson's book concisely re-opens the debate about Curtiz's contributions to cinema. Van Dyck Card, James, Book reviews.., Vol. 24, Journal of Popular Film & Television, 04-01-1996, pp 45.